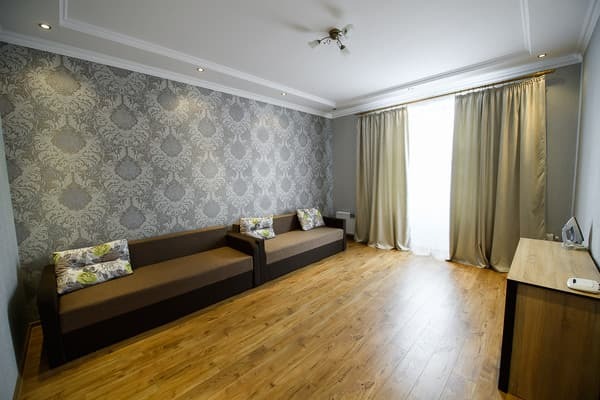 Apartment "Chernovtsy Apartment" is located in the heart of the city, on Ivan Franko street. The apartment is renovated, warm floor, oak furniture, new plumbing, plasma, Wi-Fi, washing machine. The apartment consists of 2 rooms and is designed for 6 people. 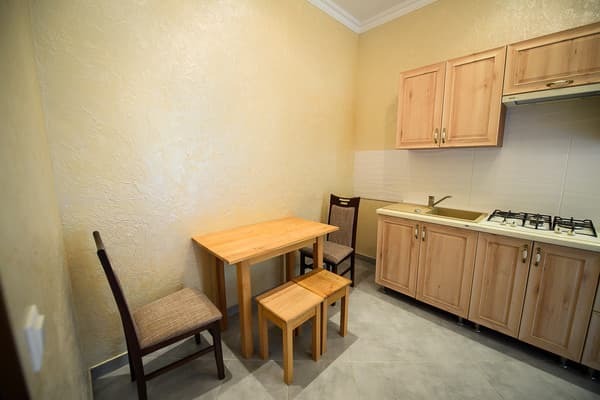 There is also a kitchen for self-catering. In one of them there is a double bed in the other - two sofas. 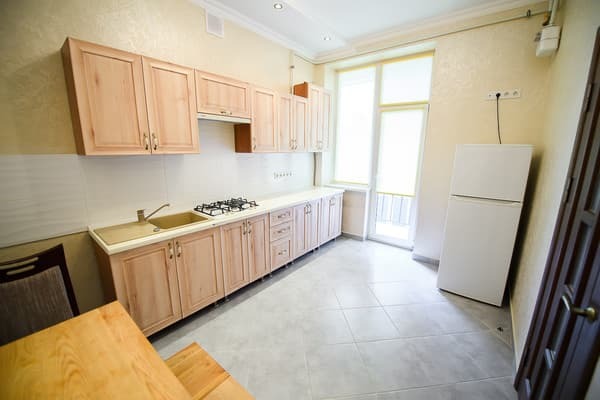 Chernovtsy Apartment is located 1 minute walk from the Town Hall, 2 minutes from the pedestrian Olga Kobylyanskaya Street, Philharmonic Square, Central Square, Cathedral Square and many other attractions. Nearby there are many cafes and restaurants. The distance from the railway is 1 km. Description of the room: Luxury apartments in the heart of the world. For 1hv. walk vіd mіsko ї Ratushі, 2khv. to pіshohіdno ї in Olga Olga Kobilyanskoi, hand tribute to the Square of the Philharmonic, Central Square, Cathedral Square and Bagato ınshih visnichny m_tsts. 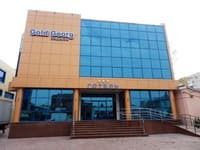 In the apartment there is a new Euro-repair, heat of the log, oak furniture, new sanitary equipment, plasma, Wi-Fi, the first machine, all the necessary kitchen facilities. Apartments "Chernovtsy Apartment" are located in the city center. The distance from the railway is 1 km. From the railway station trolley bus number 3.